By Nathan Edwards on July 8, 2013 at 12:45 p.m. There are plenty of good reasons to have a PC hooked up to your TV. And whatever your reason for doing so, you need to get the picture from your PC to your TV, and then control the PC from the couch. Today, we'll go over our best practices for setting up the living room TV for computing, and controlling it all without a keyboard or mouse. There are plenty of good reasons to have a PC hooked up to your TV. Maybe you have a really small place and don't have room for both a desk area and a TV area. Maybe you have a large media collection on your computer and don't want to buy a separate device to stream that media to your TV. Maybe you're a cable cutter, or maybe your HTPC is your cable box. Maybe you'd rather game on a fully armed and operational PC instead of an eight-year-old console. Whatever the reason, you need to get the picture from your PC to your TV, and then control the PC from the couch. Since this is such a big topic, I'm splitting it into two parts. Today's guide is to discuss everything except gaming with a mouse and keyboard, and the second part is, well, that. The first part is a lot more forgiving, and the second part...may not have any good solutions. Photo credit: Flickr user doggie52 via Creative Commons. For the purposes of this article, I'm going to assume that you want to use your living room PC for gaming and media, rather than productivity. If you just want access to the stuff on your PC, you can use DLNA or UPnP from an Xbox 360, PS3, or any of a number of other devices (although the PS3 and Xbox 360 are picky about what codecs and containers they'll accept), or even from your TV screen itself. My official recommendation is to use Plex Media Server and a Roku 3. But if you want to view your actual desktop from your TV, you have a couple of options. The easiest way to get picture and sound from your PC to your TV is via HDMI. Why HDMI? Well, all modern HDTVs have HDMI support, and your PC should have either HDMI or DVI, which can be converted to HDMI via an inexpensive cable. If you've hooking up to a TV rather than a monitor, though, It's better to use HDMI, so you can pass digital audio over the same connection. If you do DVI to HDMI, you'll also need to pass audio to your TV or receiver--ideally via digital optical cable. 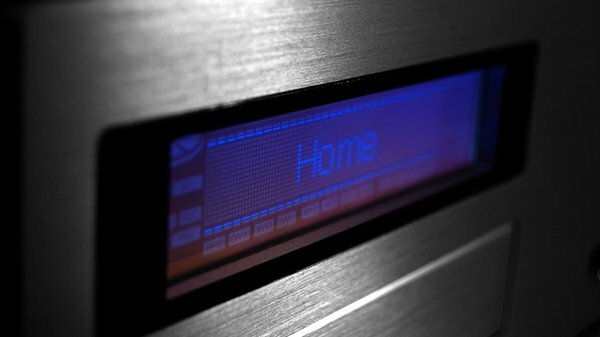 Modern graphics cards from Nvidia and AMD can output protected digital 7.1 surround sound over HDMI, including DTS-HD and Dolby TrueHD, so all the digital-to-analog conversion can be done by your receiver--avoiding the need for a dedicated sound card if you have a receiver that supports these codecs. But in my case, I don't have a receiver. All of my input devices connect to my TV, which outputs its audio to a Zvox 580 soundbar via an optical cable. Most TVs can't send multi-channel output over optical, and many receivers (including mine) don't understand DTS-HD, so it's better to connect to an HDMI-capable receiver and then connect the receiver to the TV. If you don't want or can't have a separate PC in the living room, you can just run an extra-long HDMI cable from your main desktop computer. If you don't want or can't have a separate PC in the living room, you can do what many people, including Will, do--just run an extra-long HDMI cable from your main desktop computer. Depending on how you plan to control your PC while in the living room, you may also need an extra-long USB cable. There are adapters that will send HDMI and USB over ethernet, as well as wireless HDMI devices (like The Wirecutter's favorite), but we haven't tested them. (If you have, or if you want us to, post in the comments!) That said, you can get a 30-foot HDMI cable for $10, so that's probably a more cost-effective solution for most. Note: Many TVs have far greater input lag--the amount of time between when your GPU sends the signal and the screen refreshes--than typical monitors. Setting your TV to "Game" or "PC" mode, depending on the TV, can decrease this. If you've ever had to calibrate a Rock Band or Guitar Hero controller, you know what I'm talking about. It usually doesn't matter for watching videos or for non-twitch-based gaming, so we'll mostly be talking about this next week. So your TV is now showing your desktop. Fantastic. Now what do you do? If you have a large living room and small TV like I do, your TV isn't really big enough for you to use your desktop at 1920x1080 from the couch. So you'll want to run what's known as a 10-foot interface, which is designed to be navigated with a controller or remote from--yep--ten feet away, rather than a mouse and keyboard from two feet away. 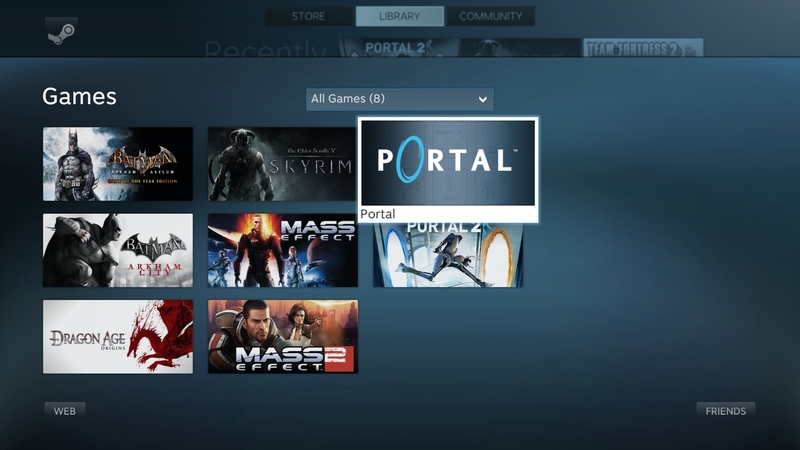 For this guide, I'll focus on using XBMC for media and Steam's Big Picture mode for games. Before settling on XBMC, I spent considerable time with Plex Media Center, which is also great, but ultimately decided to go with XBMC for its extensibility and native controller support. Photo credit: Flickr user keishaChandelle via Creative Commons. Speaking of controllers, if you plan on doing any gaming at all on this thing (which we'll get to), you should pick up an Xbox 360 controller. The wired version should work as-is, and Microsoft also sells a wireless version for Windows. If you already have a wireless 360 controller, pick up a receiver for it so you can use it with your PC. 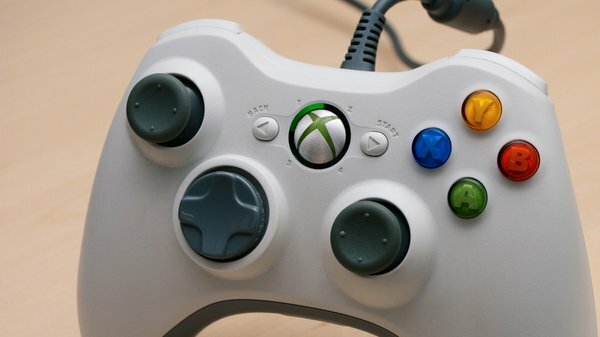 The 360 controller one of the best gamepads out there, and it works natively with Windows and even some Linux distributions. Did I mention XBMC supports it right out of the box? XBMC (formerly Xbox Media Center) is a fantastic media center frontend that's been covered here before. Although I'm using it on a Windows box, there's no reason to limit yourself to that OS--it works on OS X, Android, iOS, Raspberry Pi, Linux, and even jailbroken first- and second-generation Apple TVs. It's extensible, skinnable, and downright wonderful. Rather than spend a few thousand words going over the install process, though, I'll hand it over to Lifehacker's Whitson Gordon, who has written an excellent guide and video to setting up XBMC. Come back here when you're done. Welcome back. Now you have a media center PC hooked up to your TV, as well as a big media library and some streaming apps to go with it, all controlled by an Xbox 360 controller. One last thing, assuming you're using Windows: drop a shortcut to XBMC into C:\ProgramData\Microsoft\Windows\Start Menu\Programs so that it starts up when your computer does. You can skip this step if your PC isn't a full-time media center PC. What XBMC is for media, Big Picture Mode wants to be for Steam games. 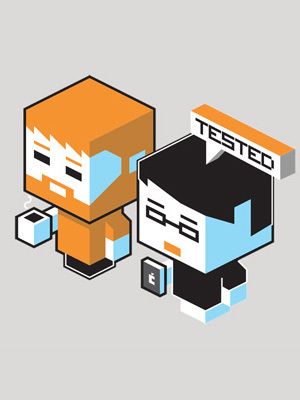 It's Valve's bid to put Steam in your living room. As such, the interface fully supports gamepads including the Xbox 360 controller. As long as you're playing games that have controller support, you shouldn't need to touch a keyboard and mouse at all. Which is fine, once you're in Big Picture Mode. 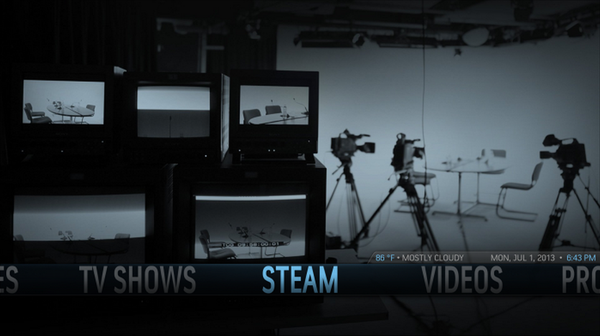 But what if I told you there was a way to go directly from XBMC to Steam Big Picture Mode? There is a way. Thanks to a guy named Dan Mace, you can set it up in about ten minutes. Dan wrote an AutoHotKey script, that combined with the XBMC plugin Advanced Launcher, will let you create a shortcut in XBMC that launches Steam in Big Picture mode, then returns focus to XBMC when you exit Steam. Thanks, Dan! Side note: If you aren't running XBMC but just want Steam to start in Big Picture mode by default, go to Settings > Interface and select "Start Steam in Big Picture mode." If you use a customizable XBMC skin, like Aeon Nox, you can create a shortcut to your Steam Big Picture launcher directly from the main screen. Even though I opted not to use Plex on the client end, I'm still using Plex Media Server to serve my videos and music to XBMC, thanks to a handy plugin called PleXBMC. 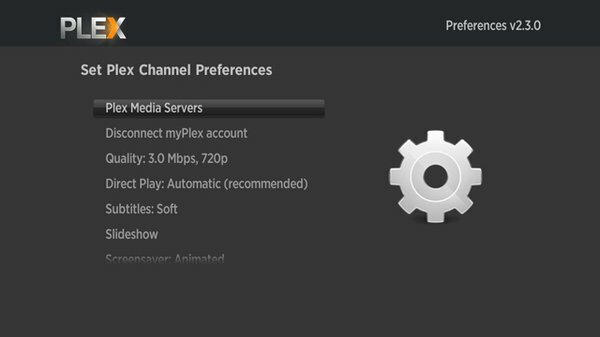 Once it's installed on your XBMC box, PleXBMC automatically finds your Plex server on your local network and hooks into it. It also supports the myPlex service, which lets you access your Plex library from outside your home network, so there's no reason (other than bandwidth) that your server needs to be in the same house as your living room PC. Despite everyone's best efforts, the mouse and keyboard are still the best way to control a desktop PC. In the living room, though? Not so much. Ideally you'd be able to control your living room PC without having to pick up a mouse and keyboard at all. For my living room PC, I'm using a wired Xbox 360 controller augmented by Unified Remote. 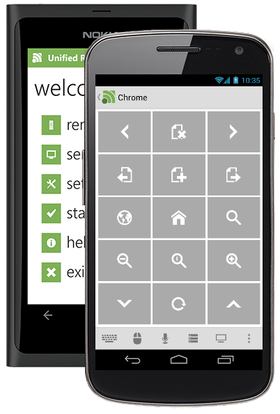 The app consists of two parts: a Windows program that acts as a server, and a smartphone app that connects to it via Wi-Fi. Once connected, Unified Remote can act as a virtual mouse and keyboard for your Windows PC, like Gmote can, but it does more. Way more. The free version comes with specialized Windows controls like a numpad, a generic media remote, a Start menu browser, access to the Task Manager and power settings. It also includes special remotes for Spotify, VLC, Windows Media Center, Windows Media Player, and Youtube. The $4 paid version adds dozens of others, including remotes for Chrome, Internet Explorer, iTunes, Foobar2000, Boxee, Hulu, Netflix, Media Player Classic, Opera, PowerPoint, Winamp, Win8, and, yep, XBMC. It's awesome. Unfortunately for iOS users, it's only on Android and Windows Phone for now, but the devs say they're working on an iOS version. If you prefer a physical remote, there are a few ways to do it. XBMC has native support for Media Center Remotes like this $20 Rosewill one that Lifehacker recommends. If your TV supports CEC, you can use your existing TV remote to control XBMC using a $50 USB-CEC adapter. Finally, you can use an infrared adapter and a program called LIRC to get your computer to understand infrared signals. This is pretty complicated, though, and there's an easier way: FLIRC. FLIRC includes the dongle and a simple GUI to teach your computer how to use your existing remote, and now there's a FLIRC plugin for XBMC. If you're using a Logitech Harmony universal remote, FLIRC now has a Harmony profile as well. It takes a bit of work, but the end result is a computer that boots right into XBMC, switches seamlessly into Steam Big Picture Mode for gaming, then back to XBMC, and can be controlled without ever touching a keyboard and mouse. But what if you want a keyboard and mouse? That's something we'll cover next time.